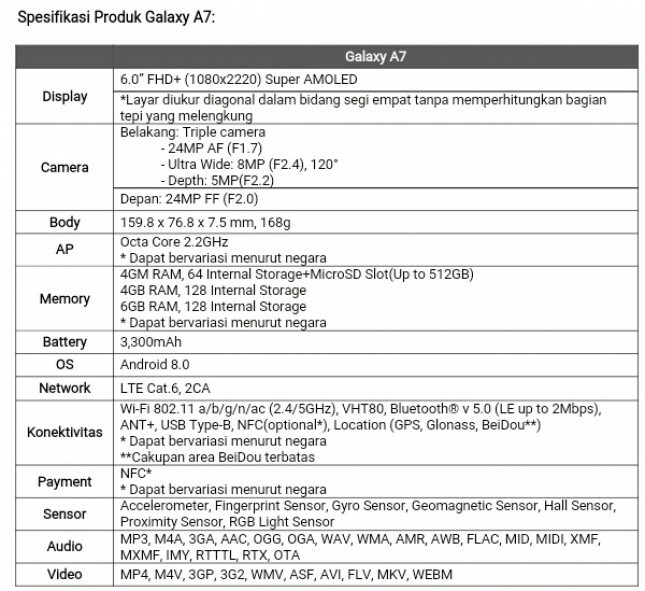 INDUSTRY.co.id - Jakarta - Samsung Electronics introduces the Galaxy A7, the latest addition to the Galaxy A series with three sophisticated rear cameras, smooth design and features that are worth having. "Samsung is committed to bringing innovations that benefit all users of the Galaxy series, regardless of who they are or where they are," said DJ Koh, President and CEO of IT & Mobile Communications Division, Samsung Electronics through official information received by INDUSTRY.co.id , Friday (9/21/2018). "Therefore, we are excited to introduce innovative new features to the A series through the Galaxy A7, a practical yet powerful device, which was developed to help our daily life become more comfortable and extraordinary," added DJ Koh. The Galaxy A7 is equipped with an 8MP Galaxy A7 camera that has 120 ° Ultra Wide Lens. With the same point of view as the human eye, the Galaxy A7 shoots the world exactly the same as our view in unlimited wide-angle photos. Utilizing 24MP Lens and Depth Lens, the Live Focus feature on the Galaxy A7 can control the depth of field with its ability to adjust the bokeh effect to create captivating photos. In low light conditions, 24MP Lens on the Galaxy A7 automatically transmits more light by combining four pixels into one pixel. The Galaxy A7 displays the best side of each moment. With Samsung's clever Scene Optimizer feature, the Galaxy A7 camera categorizes photo subjects and adjusts color, contrast, and lighting to optimize image quality instantly. With a 24MP front camera and adjustable LED flash, it is easy to get ideal lighting. Make a selfie with bokeh effects using Selfie Focus, and use lighting like a professional studio with Pro Lighting Mode. Equipped with a premium 6.0-inch Super AMOLED screen, the Galaxy A7 supports you in feeling and sharing the world exactly with your experience. Plus, Samsung's unique Infinity Display presents an immersive display without interruption. The Galaxy A7 also supports Dolby Atmos® immersive sound technology, which enlivens entertainment through the audio that moves around us. Comes with a premium glass design, the fingerprint sensor on the side for more comfort and smooth curves, this device is practical as well as comfortable to grip. Available in four stylish colors to suit your personal style - blue, black, gold and pink. Designed to make life easier, the Galaxy A7 comes with Bixby, Samsung Pay and Samsung Health. The Galaxy A7 will soon be available in certain European and Asian countries and some other areas in the near future. On October 11, 2018, Samsung Electronics will welcome the presence of new Galaxy family members. 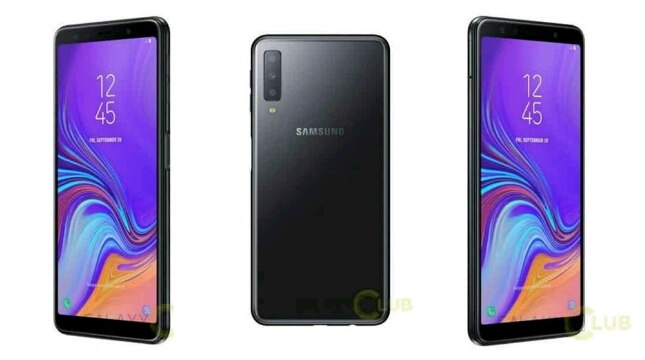 To celebrate the launch of this latest device, Samsung organized the Samsung A Galaxy Event on October 11, 2018.